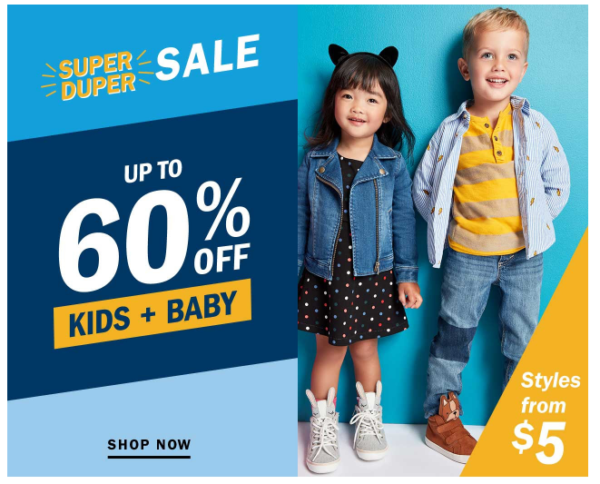 For a limited time only, shop Old Navy where they’re offering Up to 60% Off Kids & Baby Clothing, no promo code needed! Grab jeans for $10, tees for $5, dresses for $8 and so much more! Plus, this weekend only, you can save an extra 20% off your purchase with promo code ENJOY. Note that shipping is free on orders of $50 or more.